In 2011 I first blogged about Objective-C blocks, a game changing language construct that allows defining callable functions on-the-fly. In this post, we delve into some advanced properties of blocks in the Objective-C language. In the above example, we create a block that captures local variable “capture_me” and store it into a variable called “squared”. When we invoke the “squared” block, it will access the captured variable’s value, square it and return it to the caller. This is a great feature that allows referencing local variables from deep within a complex operation’s stack. As Miguel de Icaza points out, however, we need to be careful with this feature to avoid producing hard to maintain code. As you may have guessed, the code above correctly prints value “100”. Now, consider this snippet. We will change our block not to return the squared variable, but rather to capture a reference to the local variable and store the squared value, overriding the original. The __block keyword signals that variable “modify_me” is captured as a reference by the Block, allowing it to be modified from within its body. Just like before, this code still prints “100”. If we were to call the “squared” block a second time, we would square the variable again, yielding “10.000”. Unlike any other object instance in Objective-C, blocks are objects that are allocated on the stack. This means blocks need to be treated as a special case when we want to store them for later usage. As a general rule of thumb: you should never retain a block. If it is to survive the stack frame where it was defined, you must copy it, so the runtime can place it on the heap. If you forget and accidentally retain a block on the stack it might lead to runtime errors. The Xcode analyzer, thankfully, detects this problem. If there were a feature I could have added to the Java programming language (when developing Android apps), it would without be, without a doubt, support for blocks or, in general, lambda expressions. Objective-C blocks are a powerful feature that must be handled with care. When used correctly, they have the power to let us improve our code to make it more streamlined. When used incorrectly, they can lead to unreadable code and/or hard-to-debug memory-management bugs. If you are interested in learning more about blocks in the Objective-C programming language, this article is a great resource and here’s the official Apple documentation. When asked what I like the most from the Objective-C programming language, I often refer to its dynamic underpinnings. Although Objective-C is a superset of C, the way its designers decided to implement the Object model was dynamic. This provides a strong contrast with C++, which, although a superset of C as well, is a static-typed language. In this post I will show how you can use the Objective-C runtime to dynamically add a method to an (Objective-C) class at runtime. Let’s start by creating a Dummy class that has no methods whatsoever. I will put everything in the same file for the sake of simplicity, but in real-life code, you’d want to have separate files for the interface and the implementation. Now, let’s implement a method to be dynamically added to Dummy. Interestingly enough, methods to add need to be implemented as C functions. Now, let’s go to the main function and see how we can inject “newMethod” into the Dummy class. We will need to import the Objective-C runtime. So, let’s see how the method was added. The heavylifting here is done by the class_addMethod function. This function, coming from the Objective-C runtime, allows you to register a new method in a class. This feat requires a pointer to the function that implements the method (“newMethod”), but lets you assign any name you want to it (I chose “printHello”). Notice that’s the message I send to the Dummy instance. The strangest parameter is perhaps the last “v@:”. This is actually a code for the argument types received by the “newMethod” function. All valid type codes can be found in the Apple reference, but to make things easier, “v@:” means that the function returns void (v) and receives an Object and a selector. 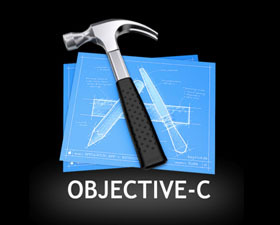 Objective-C is a superset of the C programming language that adds object-oriented constructs. Unlike C++, which was influenced by Simula, Objective-C was influenced by Smalltalk, something we can definitely see in its braces syntax. Just like C, Objective-C keeps the tradition of separating the source code in two files: a header that defines an interface (.h) and a source file that provides the implementation of said interfaces (.m). 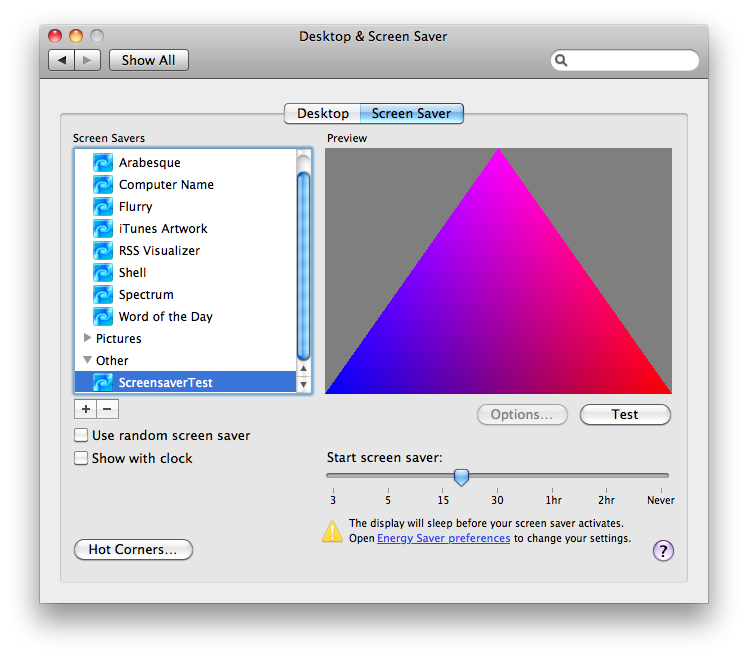 Contrary to popular belief, you do not need a computer running Mac OS X to develop Objective-C programs. The GNUstep project is an open source implementation of the OpenStep reference that provides a basic runtime environment and an implementation of part of the library, including Strings, Arrays and Dictionaries. GNUstep is available for Linux, other UNIX-based OSs and even Windows. Here’s a short example that defines a 2D point structure with two operations: initialize from a given pair of (x,y) coordinates and printing to stdout. Finally, let me show you how to instantiate and send messages to a Point2D object. Although the Autorelease pool was not really necessary, it is a good practice to have one in place.